Normally $59 if purchased separately for two. Now On Sale for Only $39.50 for two! 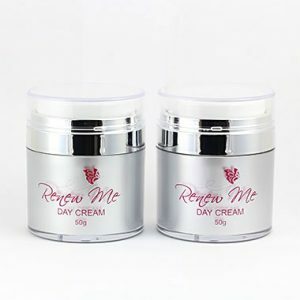 RENEW ME® Toner is a gentle toner that removes any residual cleanser and dirt from your face. It has been formulated with Ylang Ylang, Camomile, Geranium and Rose oil to gently sooth and calm your skin, making it a wonderful alternative to use if you have sensitive skin. This beautifully formulated Toner gives a relaxed effect in preparation for the next application. Parabens, Propylene Glycol, Sodium Lauryl Sulfate, Formaldehyde, Omidazolidnyl Urea, Phenylenediamine, Petroleum, Mineral Oil, Aluminium, Coal Tar, Pthalates, Mercury.